ServiceMaster Commercial Cleaning is pleased to provide move-in cleaning and move-out cleaning services to property owners and landlords in the New River Valley, Roanoke, Galax, Hillsville, Wytheville, and the surrounding areas. Although we usually only provide cleaning services for commercial buildings, we make an exception for move-in and move-out cleaning. We will provide this service for homes, apartments, condos, townhouses, and any other type of residence. As long as the residence in question does not contain any furniture and all the belongings of the occupants have been removed, we will be happy to give it a thorough top-to-bottom cleaning. We can provide this service on behalf of the property owner (whether that is a landlord or property management company or an individual) or a person renting the property. Why hire a professional for move-in/move-out cleaning? Moving is a stressful process. Between boxing up all of your possessions, reserving a rental truck or hiring movers, and attending to a long list of other details, the last thing you want to worry about is cleaning. 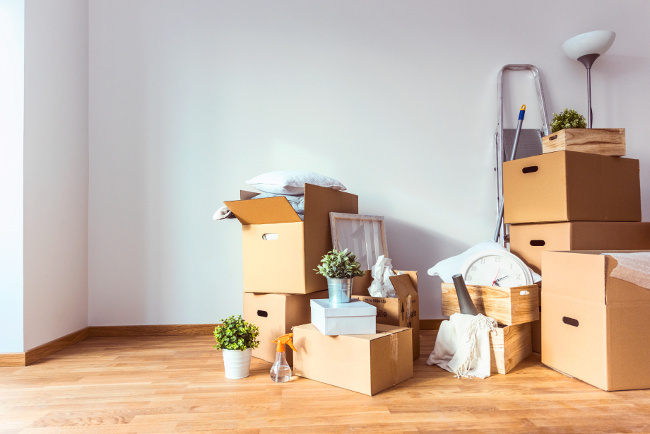 In the case of someone moving out, once the last box is out the door all you want to do is get on with the process so that you can get it over with. After all, at that point what you have to look forward to is a drive (either long or short) followed by unloading and unpacking all the stuff you just packed up. Wouldn’t it be nice to let someone else worry about cleaning up after you leave? Let’s face it–if you try to fit in cleaning your entire house or apartment into an already very packed day, chances are you won’t do a very good job. In the case of renters, that might mean you won’t get back your full security deposit. If that’s the case, it might even end up costing you more NOT to hire professional move-out cleaners. On the other hand, if you’re moving in to a new residence, nothing is worse than showing up and finding dirty carpets, dirty windows, or dusty floors–especially if you just thoroughly cleaned the residence you moved out of! You’ll be forced to either stop in the middle of the moving process to clean up, or unload your stuff into a dirty residence. If you are a landlord or residential property manager, it is important that you have a reliable solution for cleaning properties in between tenants. As much as it would be nice to simply trust tenants to thoroughly clean a residence after leaving, that is simply not realistic. ServiceMaster is a brand trusted both worldwide and by numerous property managers and facility managers throughout Southwest Virginia. Our franchise has been operating since 1996 and we currently clean over 175 facilities in the area, including hospitals, schools, and government offices. In fact, if you live in our service area, at one point or another you will probably set foot in a building that is cleaned by our staff. Why not trust us to do the move-in/move-out cleaning for your properties as well? Contact us today to request a quote for our move-in cleaning or move-out cleaning services.